Paurvi Bhatt is the Senior Director for Global Access at Medtronic Philanthropy where she leads a multi-million dollar global strategic grants portfolio that focuses on empowering people impacted by NCDs, enabling frontline health workers, and advancing the policy dialogue to increase access to care for the underserved. She is a seasoned global health leader with deep multi-sectoral experience in business, nonprofit, and government sectors. She spearheaded global programs in several private companies including at Levi Strauss and Co. and Abbott. 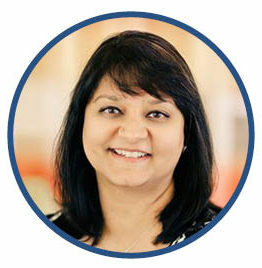 At Levi Strauss, leveraging her global health background into Human Resources, Ms. Bhatt increased employee engagement and utilization of HIV/AIDS relevant benefit programs, improving employee health and retention. At Abbott, she led the establishment of and executed the first corporate social responsibility strategy for the company. While at USAID’s Office of HIV/AIDS, Ms. Bhatt served as a bridge between the government agency and NGOs, serving as a global portfolio advisor for grants, contracts and cooperative agreements focused on NGO capacity building. She has also served as an international evaluator at the U.S. General Accountability Office. Her technical expertise is in HIV/AIDS, women’s health and health systems and economics. She serves on several human resources, international health and HIV/AIDS working groups, technical advisory committees, and is on several Boards including the Global Business Group on Health, AIDSUnited, and GlobeMed. She holds an Masters of Public Health in health systems and economics from Yale University, and Bachelor Degree in neuroscience from Northwestern University.